Reminder — CloudCalc’s Discount Code expires in just two weeks! Engineering or Art: Why not Both? 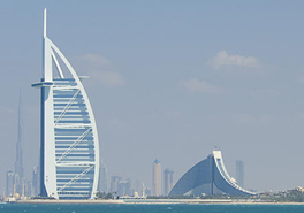 Dubai Skyline – Engineering or Art? This past weekend my wife and I were in Providence, visiting our daughter for the purpose of meeting her new boyfriend. Walking through our hotel I noticed an interesting diptych among the artwork decorating the hallway – two pieces celebrating the nearby Exchange Bridge. One piece, an engineering drawing used in the construction, had many characteristics – clean lines, geometric patterns, symmetry, and interesting ornamentation – usually associated with many purely artistic works. The other piece was a photo capturing the beauty of the resulting tangle of structural steel that was the bridge itself. The photographer, coming upon this utilitarian object, recognized that it had “filled a space in a beautiful way” – and thus was art, to Georgia O’Keeffe, to the photographer, as well as to many others who walk the streets of the city (or the halls of that hotel) every day. Thinking about how the bridge’s engineering (both the design and the resulting structure) had evolved into art got me thinking about other cases where the disparate fields of structural engineering and art overlapped. 30+ years ago, I worked as a technical support engineer for Dynaflex (a leading pipe stress program of that era). I, along with the rest of the staff, took pride in the fact (or the novelty?) that nestled in among all the refineries, power plants, chemical processing plants, and nuclear submarine facilities that made up our customer base there was also an artist who used our product to make sure that his sculptures, built of pipes, did not fall down. Today a similar practice continues among artists such as the sculptor Mark Di Suvero, for whom structural engineering is a primary component of his art. 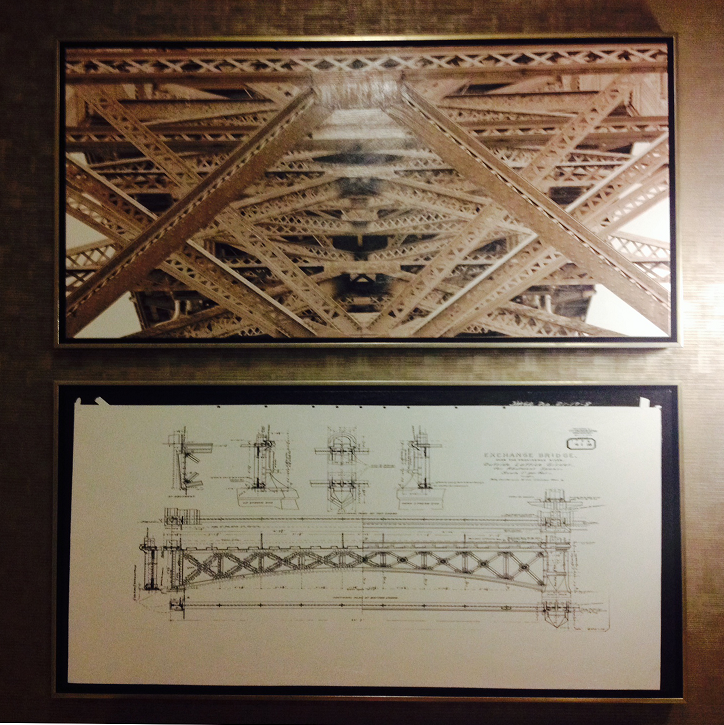 Di Suveros on Display at the Golden Gate Bridge – Which is Structure, which is Art? So here were two different examples – the first, a case of engineering unknowingly becoming art; the second, a case of engineering helping to create the art. But certainly there must be other examples – where the intent of the art and the engineering carry equal weight and are blended from the beginning. 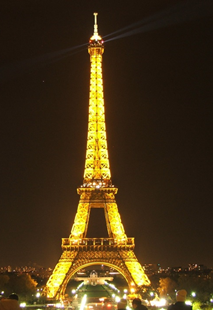 Why is the Eiffel Tower considered the best example of Structural Art? Well in addition to its beauty, it also is apparently one of the world’s most efficient structures for resisting wind, its predominant design load. As an engineer it is part of my makeup to appreciate economy and efficiency. But sometimes you want to throw economy and efficiency out the window and see what the engineer/artist can create, using the structure as a canvas. For example, consider what the world would be missing if Dubai’s skyline had been built using economy and efficiency as the main criteria! I first became a fan of Calatrava 10 years ago while traveling through Sevilla, Spain, where I saw his absolutely spectacular Alamillo Bridge, designed as the centerpiece to Sevilla’s Expo ’92. I’ve since had the pleasure to come across a few other of his works in the course of my travels. Still others that I would like to see some day can be viewed at www.calatrava.com. What strikes the browser most about this site is the equal attention that Calatrava seems to place on his artwork (sculpture, ceramics, and drawings) as on his engineering accomplishments. Alamillo Bridge, a Calatrava Sculpture– Which is Structure, which is Art? So it seems there are many ways to blend engineering and art – whether it entails placing a spectacular structure on the skyline, or developing a truly elegant engineering design. The first of course can be enjoyed by all; whereas the second maybe only by those of us who get the engineering principles behind that spectacle. Designing your own artistic masterpiece? 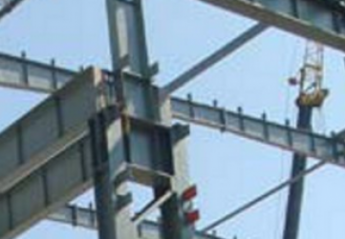 Why not use www.cloudcalc.com, Structural Analysis on the Cloud. Easy to use, no software to download, and free of charge! This is a wonderful article and one with which I have great empathy. The resounding principle here is, “If it looks right the chances are it is right.” However, I would draw your attention to the works of 19th C Europe when the industrial revolution was at it’s zenith. Look at the drawings that were produced then. They have become art works in their own right. The principles of engineering work their way into nearly every sculpture you look at, large or small. If something is ‘well-balanced’ it fills its space gracefully, efficiently, effortlessly. It doesn’t matter how well an object is secured to its base, if it looks as though it will fall then it is uncomfortable to view. Sculptors employ the principles of engineering whether they know it or not. And if you wish to extend the concept then look at the marine, aeronautical and motor industries where the two worlds meet, sometimes with horrendous outcomes and sometimes with a Bugatti, a Supermarine Spitfire or a QE2 liner. I am a structural draftsman and an artist and successful in both fields so I know they can live together. Ken — “if it looks as though it will fall then it is uncomfortable to view” –except for the Leaning Tower of Pisa! No actually I agree with everything you’ve said. Thank you for your extensive comments. Engineer Peter Rice (http://www.archdaily.com/352692/arup-documentary-traces-of-peter-rice/) is a great example of how showing the true structure and functional elements of a building can be elegant in itself. And he has a project in Houston – The Menil Collection. The other engineer that comes to mind as letting the form and function of a structure speak for itself is Swiss bridge engineer, Robert Maillart. I just checked out Peter Rice — a really cool guy, the “James Joyce of structural engineering” — now that’s an interesting description. We always hear about Renzo Piano (Rice’s frequent collaborator with regard to the Menil, time to get the engineers a little more credit).